IGN retracts large portion of RE2 review and updates score after it becomes clear their reviewer missed a large chunk of the game. No, it’s not clear. You don’t understand the mistake that was made. It’s not that he missed this text or that the new option existed. He interpreted this as being about Leon’s second run, such that he unlocked a new scenario for Leon and the ending/parts would be changed in comparison to what he just played. Not that it unlocked a new scenario for Claire, that changes in comparison to what he would have played as Claire if he picked the first scenario. 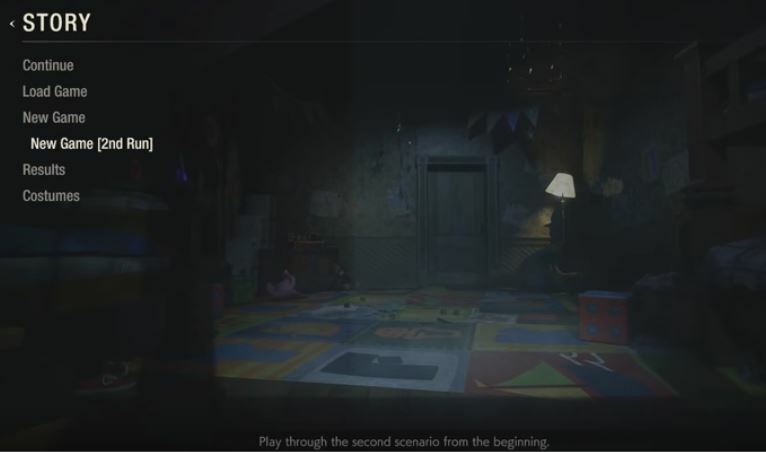 So instead of picking the option that he thought was replaying the game as Leon, he played through Claire’s first scenario instead, thinking that would then unlock Claire’s second scenario. The wording isn’t clear if you approach it with that possibility in mind. Heh. An error that's worth only .2 points. So I am curious, did the reviewer actually went back and played the whole of the 2nd scenario before updating his review score? I used to like IGN back in the day, and it was my go to for reviews. Man they've gone down hill. You've got to be kidding me. AGAIN IGN? This is just getting sad at this point. is this an easy mistake to make? I mean the fact that it is possible to miss it probably means it isn't super clear. Unless it is super clear then whoops. They increased the score really fast. I'm wondering if they even played the second game mode/ B scenario. 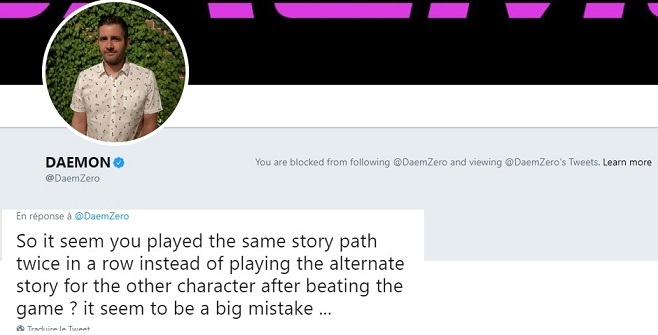 Or if he unblocked all the people who tweeted him about it and got blocked for it. They increased the score really fast. I'm wondering if they even played second game mode/ B scenario. IGN reviews are pretty incredible. How do you even play the A scenario twice with different characters if by playing A with one, you automatically play B with the other? But not enough to understand what you're reviewing. So... why do any IGN editors still have a job? I mean, I can understand one rogue reviewer slipping through the cracks, but there is a consistent problem that their editors are apparently blind to. OK, but how are people supposed to know the difference between A and B? If a reviewer could make this mistake, it means a lot of regular folk could as well. Half the game is only worth 0.2 points...and THAT is why games are so short these days. Incredible. IGN has become a joke. IGN on a roll with these reviewers! Hilarious situation has emerged here. The IGN review for RE2 gave the game an 8.8 and included a bizarre section where the revierew claimed that two scenarios for the game consisted of the same content, puzzles, enemies, and narrative, just with different playable characters. Written by Daemon Hatfield too. I expect far better from him. Should have made the game two discs again so that people wouldn’t mess this up. Silly Capcom. It's worth an Editor's Choice too. Will their mistake be corrected on Metacritic? Well IGN is having quite the week with their review department. LOL what? IGN continues to be a joke. Have you seen their 10 Minutes of Metro Exodus Gameplay? how is it that IGN, one of the biggest gaming media and supposedly then one of the sites that has the most budget (what with those IGN First features and ad revenue), can make so many blunders? Don't they have any reviewers that actually makes an effort to play games till completion (a single player game no less) for review? Games Journalism is a real treat, sometimes. I'm more curious about the reviewer unblocking the people that told him about it. Wasn’t it Daemon that reviewed the game? That seems pretty bush league. Already has. Went back up to a 91 because of it. wait, you can play Leon's story with Clair now and vice versa? That's really cool. Sounds like this dude never played the original lol. The saddest part is the reviewer has been with the company for a very long time. I think the bigger story here is the reviewer only played half the game yet still gave it 8.8. And people are saying reviews are not hype driven. the text at the bottom says play through the "second scenario"
This is like asking how are people supposed to know what the difference between Leon and claire. I mean how did that ending even made sense to him? When you complete the A scenario there is an option called New Game (2nd Run) under the default New Game. I don't think this an easy thing to miss. Why the reviewer didn't even start that to see what it was I do not understand.